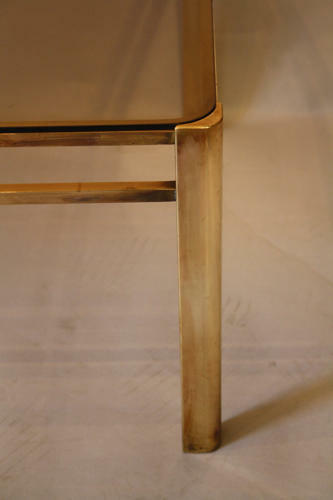 A stunning solid bronze and slightly smoked glass coffee table by Jacques Quinet for Maison Malabert. Signed, stamped. France c 1960. Wonderful condition. Please note we have another so they could be used as a pair - see ref 2443.